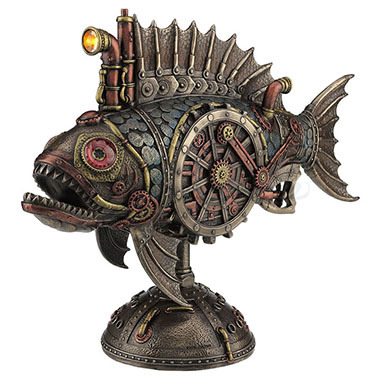 This creepy yet cool statue is modeled after a deep sea fish but done in a steampunk motif. 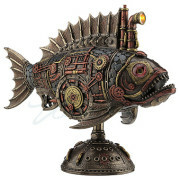 It’s a fish, it’s a submarine, it’s a beautiful sculpture festooned with gears and steampunk accents that will enhance any room. The periscope has an LED light to illuminate the depths as the the sub travels. 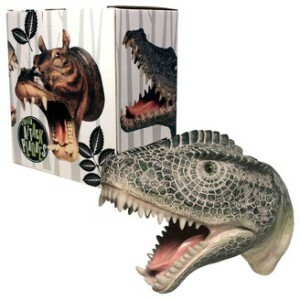 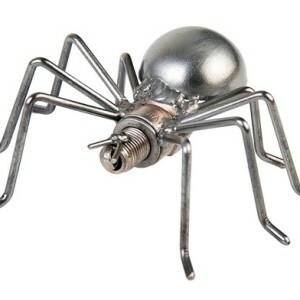 Cold cast metal is heavy resin impregnated with actual metal powders to give the look and feel of metal.